What if I told you 1-in-4 girls and 1-and-7 boys have been victims of sexual abuse before they turned 18? What would you do with that information? That’s a heavy number to process, whether you’re a survivor, a parent or a caregiver. Our Kids’ mission is to end the stigma, shame and suffering related to child sexual abuse, both for survivors and caregivers. This organization is the perfect Design-a-thon Nashville partner for the 2017 theme of Voice for Nashville Content Week. Our Kids is dedicated to giving voice to an issue that affects a staggering amount of our community. We are looking for volunteers to join us on April 14. Within the clinic, Our Kids allows survivors and caregivers to have their voices heard in a safe, private environment. At Design-a-thon, volunteers will work with Our Kids to create a campaign to empower adult survivors to give voice to their stories and to equip the community to use its voice to protect children. Design-a-thon Nashville will be on Saturday, April 14, at Advent at 2316 Cruzen St., Nashville. The 12-hour event runs from 9 a.m. to 9 p.m., but we ask volunteers to begin arriving between 8-9 to set up computers and meet the team. While I’ll never be as cool as Samuel L. Jackson wearing an eyepatch, I do have something in common with the organizer of The Avengers. Like Nick Fury, I get to assemble a team of elite, and powerful human beings for a gargantuan cause. On April 14, Design-A-Thon Nashville 2018 will kick off Nashville Content Week, and we are looking for volunteers to grind through this year’s project. 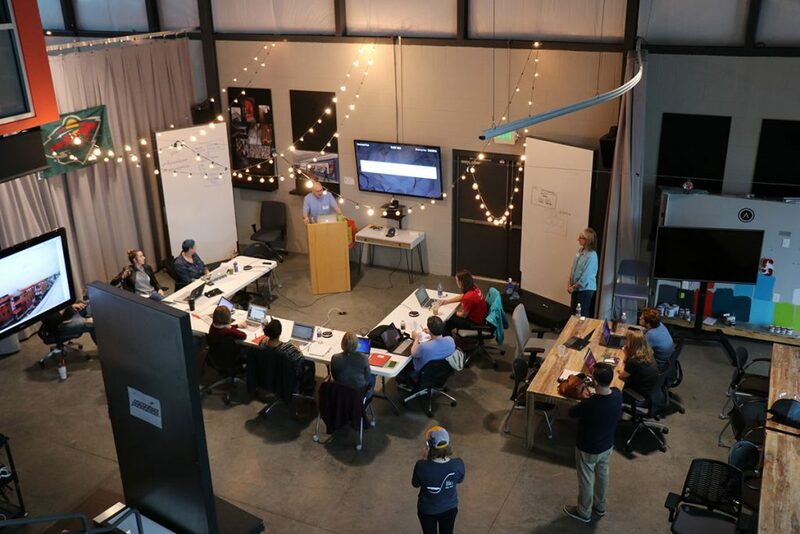 If you’re new, Design-A-Thon Nashville 2018 will assemble a team of designers, writers, social media experts, web developers and more to partner with a local nonprofit to work a problem and launch a project. This year, we will serve as a 12-hour pop-up creative agency to give this year’s nonprofit partner everything it needs to launch a digital and social media awareness campaign. We’re building a microsite, mapping social and content strategies, writing web and social media content, and creating shareable online graphics. We’re looking for the Iron Man, Captain America, Thor, Black Widow, Scarlet Witch, Black Panther and Spider-Man of the Nashville creative community to help us out. If you’d like to volunteer, fill out this form.